I hope your Christmas was great and your New Year going good so far! I'm still pondering on what I'd like to accomplish in 2017....not sure about you but January is a very busy month for me being a church secretary and what I've got to get done by the end of the month is at the top of my to do list! I tend to mentally categorize my to do's in order of importance and accomplish one thing at a time....I can multitask ok but I focus on what needs to be focused on to get it done well. It seems to work for me! How do you plan and organize? 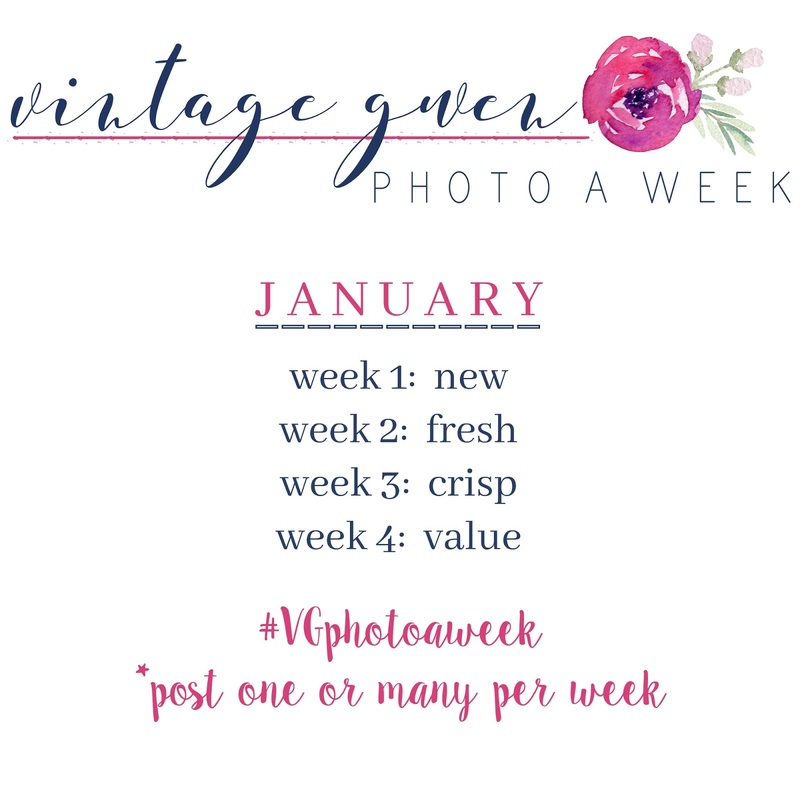 I am keeping up with my photo a week challenge for 2017!! Doing it weekly seems to not be too overwhelming. I've been just sharing my pics on Instagram but I'm going to start sharing them on my Facebook page as well! So if you only do Facebook then please join in!! Hashtag is the same...#VGphotoaweek. I so hope you'll join me! !